We have two teaching assistants located on the 2nd floor of Building 8. Here are their introductions. 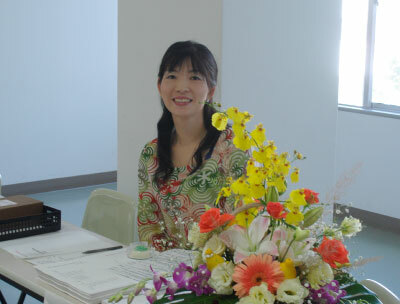 Maki Higuchi is a member of the teaching staff in the Faculty of Humanities(人文学部教育支援スタッフ). One other staff-member and I support the students of the Departments of English and Tourism. Our office is always open to any students needing information. Since 2016, I have also been working in a community relations office. I’m interested in a lifelong learning and adult education. I’m assisting the director and staff of a community center, and volunteer leaders in a society for the study of lifelong learning in Kitakyushu. I’d like to live close to nature in the future because I love nature. My hobby is dancing the hula. I sometimes dance the hula to get rid of my stress. 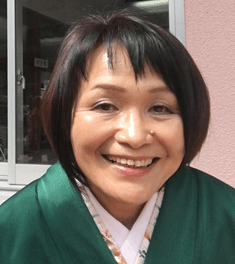 Hello, I am Kyoko Yoshimoto. I was a student here until March, 2017. However, I am much older than you, but I could learn a lot in my time as a student and it was fun. I made some friends too, and we went for a meal together. Now I work here in the 人文学部教育支援室. I am glad If I can help everybody. Please come here. My hobby is jogging. I have participated in the New York Marathon. Also, I like camping by the sea. 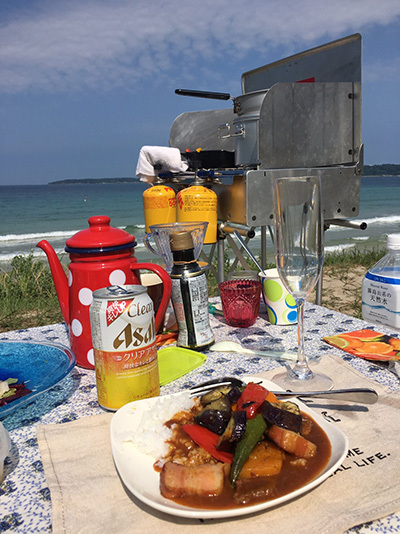 I like cooking and eating next to the sea in the summer.